We are delighted to introduce to you the 2016 WodWars Europe, an international CrossFit competition that will take place this December 2016 at Linopetra Stadium in Limassol, Cyprus for 2 days. The event is organised by CrossFit Limassol, the first ever CrossFit gym in Cyprus. After four years of presence, CrossFit Limassol will organise its 6th event this year, attracting athletes all over the world. More than 300 athletes and 150 coaches, competition judges and staff are expected to participate in this 2-day event. The event will be supported by the Cyprus Tourism Organization. 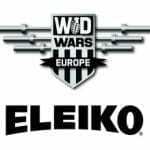 This year, WodWars Europe aims to contribute back to society and thus, all net proceeds of the event will be donated to the Butterfly Foundation. For 2016, the Butterfly Foundation supports the Cyprus Paraplegics Organisation (Οργάνωση Παραπληγικών Κύπρου) and is performing an Accessibility Study with the aim to execute a project that will make Limassol more accessible and receptive for all citizens.